July 21, 2018 was a good day for K2 climbers as 31 people summited Mount K2 – the world’s second highest mountain range – on Saturday. This is the first summit of K2 this summer. Two Pakistani climbers, Muhammad Ali Sadpara and Intesh, were among a group of mountaineers who scaled the peak of Mount K2 on Saturday. 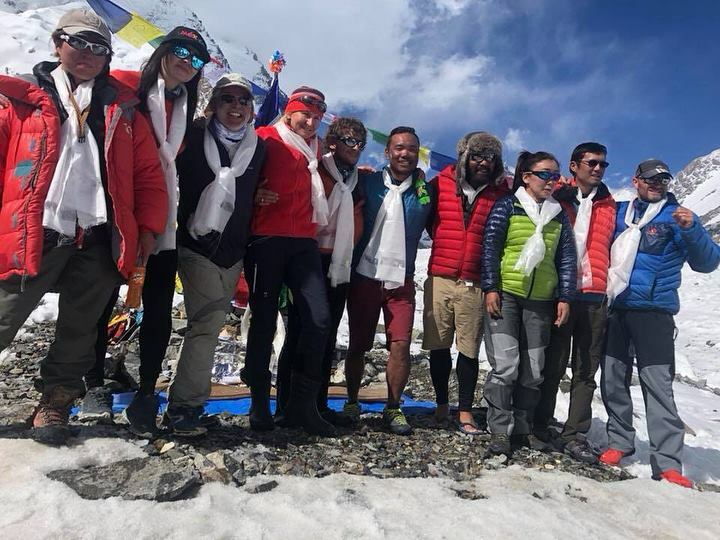 The 24 climbers from Seven Summit Treks, five from Summit Climb and two Sherpa climbers from Madison Mountaineering, climbed the mountain and reached the peak. The team included 13 Sherpas, 2 Pakistani High Altitude Porters and 7 clients on the top. The members were from Mongolia, China, Japan, Belgium, Switzerland, Mexico and Ireland. “Two months of hard work has finally paid off,” team leader Sherpa said, adding that the ordeal showed that a successful ascent was possible. All the climbers have now begun their descent to the lower camps, the team leader added. Thirty-one is the second highest number of climbers to have reached K2 peak. The record number of 33 people stood on K2 top on 26 July 2014. Mount K2 is considered as one of the world’s deadliest mountains to climb which had claimed at least 84 lives so far. K2 is regarded as far more dangerous than Everest which is why there have only been about 320 successful ascents recorded. According to a climbing record, less than 500 climbers have been able to make it to the K2 summit point.